Ian, Sarah and Adrian | The Goose Is Out! Ian, Sarah and Adrian are three local singers and instrumentalists who met at the Dulwich Folk Choir. They are Goose is Out! regulars, performing at Club Nights and Singarounds. As a trio, they toured artists’ venues as part of the 2017 Nunhead Art Trail with their traditional repertoire of songs and tunes. Singing unaccompanied harmony, Sarah and Ian have supported Thomas McCarthy and Ewan McLennan and performed more widely as members of Gentlefolk. 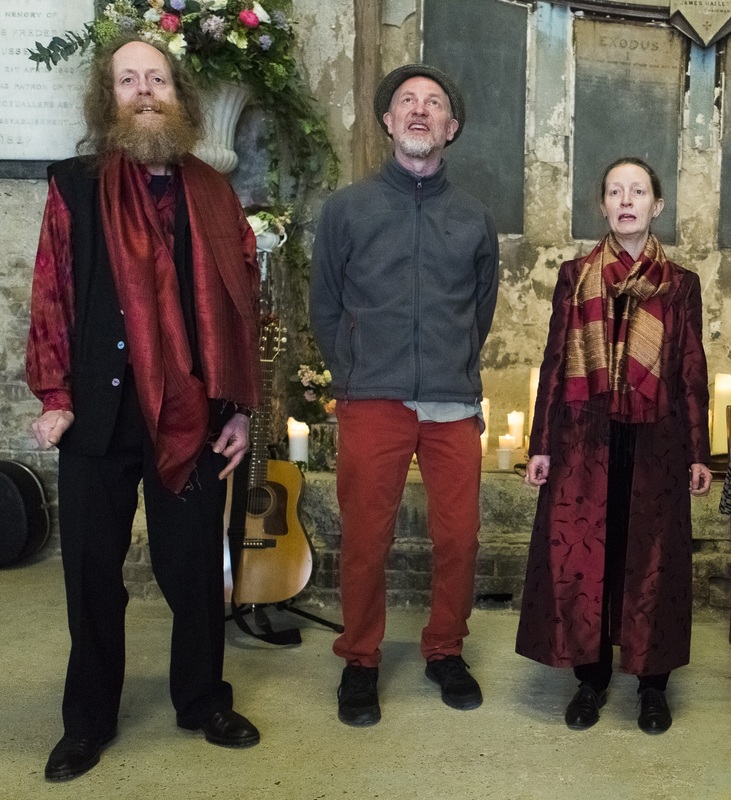 They regularly contribute music to Solstice Shorts in Greenwich and other poetry events. As a soloist, Adrian has performed as one the local singers supporting The Copper Family and Leon Rosselson.